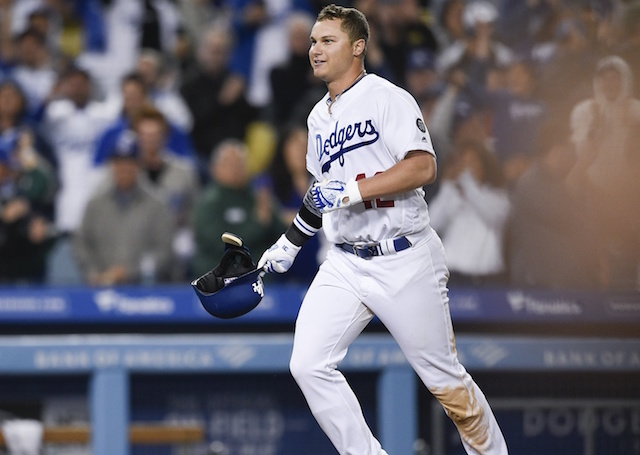 While Monday’s series opener against the Cincinnati Reds meant the 2019 debut of Clayton Kershaw and returns of Kyle Farmer, Matt Kemp, Yasiel Puig and Alex Wood, the game belonged to Joc Pederson once the dust settled. 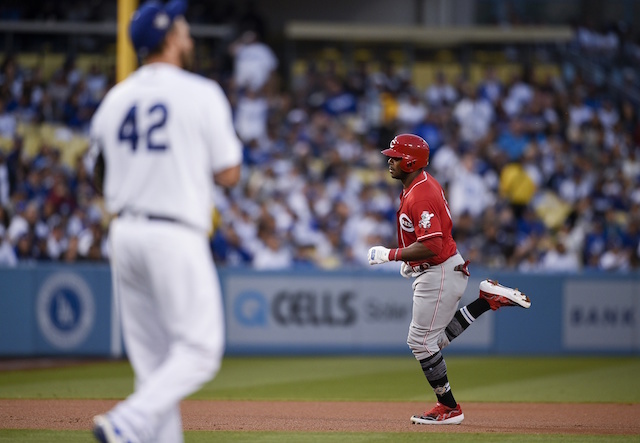 Puig did early damage and Kemp provided the Reds with a lead in the ninth inning, but the Dodgers emerged victorious on Jackie Robinson Day behind Pederson’s first career walk-off home run. 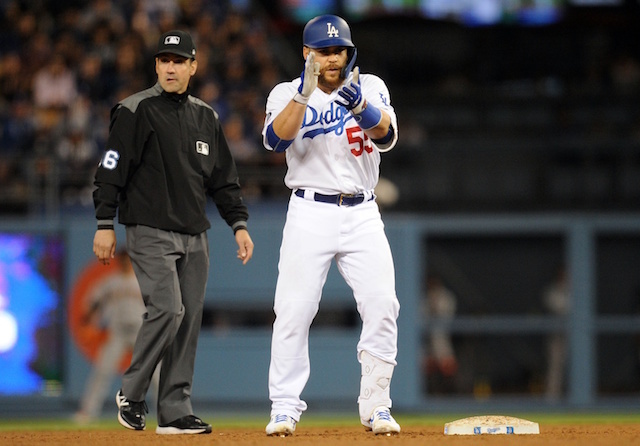 It also extended the Dodgers’ home run streak at Dodger Stadium to 30 games. After David Freese led off the bottom of the ninth with a walk, Pederson clubbed a slider from Raisel Iglesias for a walk-off homer. Pederson immediately turned to the Dodgers dugout and began pounding his chest upon making contact. Confident as he was, the ball didn’t clear the fence in right-center field by much distance. Pederson’s home run picked up Kenley Jansen, who allowed a two-out, go-ahead RBI single to Kemp in the top of the ninth. And though Kershaw didn’t factor into the decision, the win put a nice touch on what was an encouraging first start. 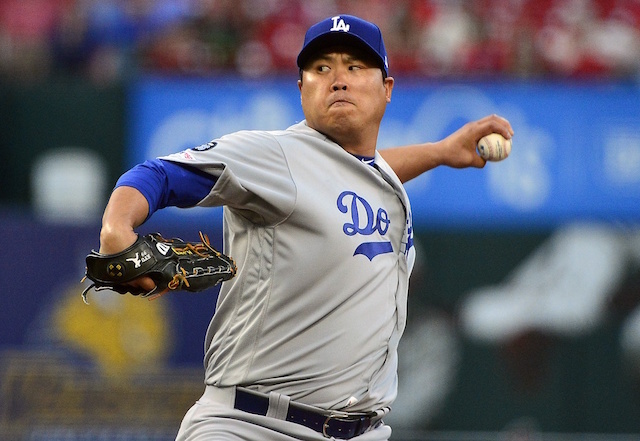 He did surrender a two-run home run to Puig but then faced one over the minimum through seven innings. Kershaw collected six strikeouts in an outing that further helped the Dodgers reset their bullpen after Ross Stripling provided initial relief with eight innings on Sunday. If there was some cause for concern for the Dodgers, it was Cody Bellinger taking a 96 mph fastball off his right knee. Bellinger went down in a heap of pain and initially remained in the game. However, he was removed the next half inning and replaced in right field by Alex Verdugo. X-rays on Bellinger’s knee came back negative, but Dodgers manager Dave Roberts was not yet certain of his availability moving forward.